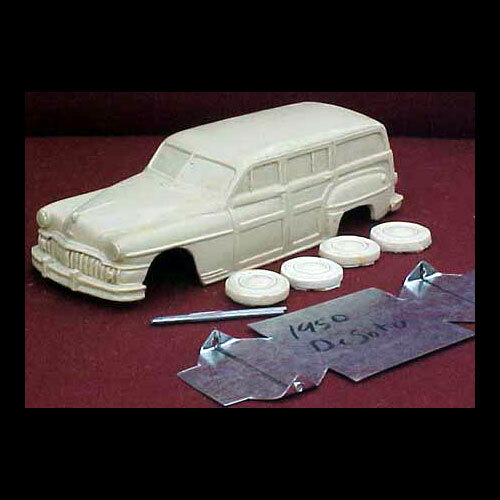 1950 Desoto Woody Wagon by TKM Models. Includes one piece body, metal chassis plate, wheels, and axles. It's hard to say what a donor kits could be. Maybe a 19-48 F-ord Woody? Photos courtesy of: Scale Wagons.